Data Request Accidents in Years Prior to 2010. Accidents in Years Prior to 2010. 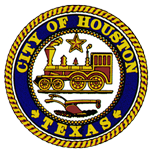 Hello, As part of a project examining traffic safety in Texas, we are interested in accident-level data on crashes in Houston. Using CRIS(http://www.txdot.gov/apps-cg/crash_records/form.htm) ran by the TxDOT we have collected data starting in 2010 but are interested in data from 2009 and earlier. Does the city have pre-2010 traffic accident data for each crash and if so would it be possible to make it publicly available?